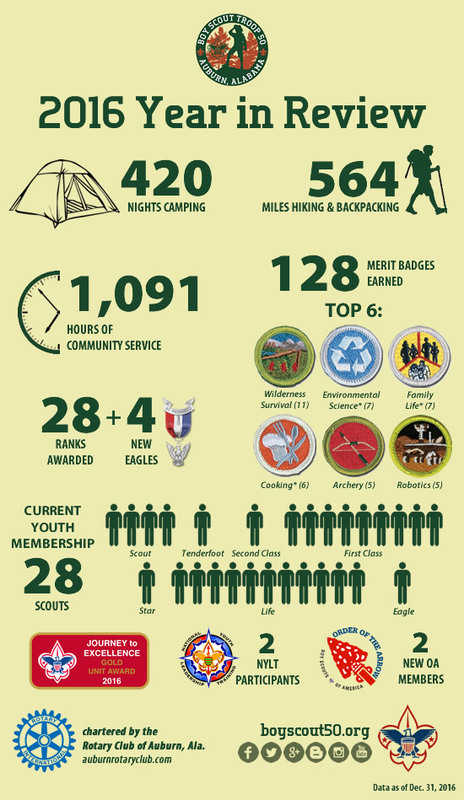 Troop 50 Scouts and leaders had a great deal of success to be thankful for in 2016. Eight monthly campout outings and a week-long summer camp fueled Scouts' efforts to sharpen their Scouting skills, earn merit badges, and advance in rank. These, and the troop's service-minded focus, enabled it to qualify as a 2015 Gold Unit under the Boy Scouts of America's "Journey to Excellence" program.